Situated in one of the city's fastest growing districts, Red Lion Hotel Billings offers a convenient location off I-90 (Exit 446) in the West End. Corporate guests appreciate the number of area businesses and industrial parks nearby as well as our proximity to historical downtown, just a 10-minute drive away. Shoppers can get an easy fix just two miles from the hotel at Rimrock Mall, the largest mall in Montana. Approximately seven miles from Billings Logan International Airport (BIL), the hotel makes travel easier with a free airport shuttle. Amenities include, our restaurant, Wild Horse Grill, a casino with slot machines, an indoor pool with hot tub, a fitness center and bicycle rentals. 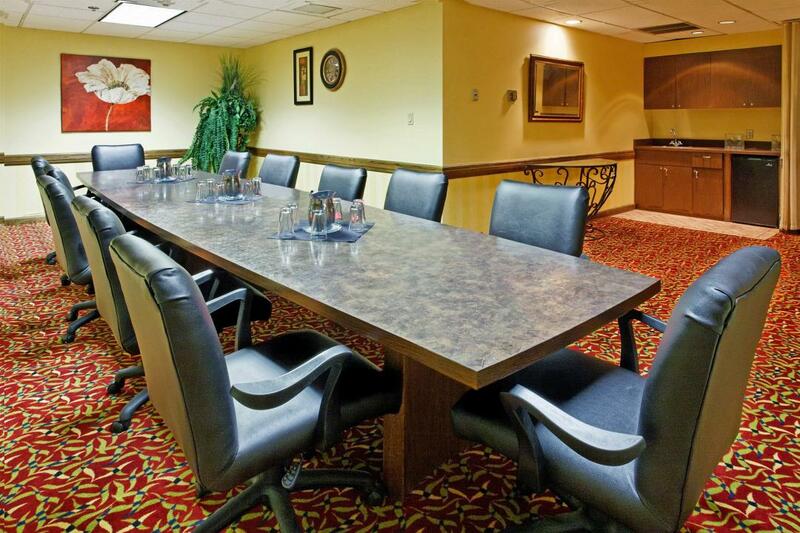 A business center and 19 event rooms are available for meetings. Parking is free. Whether you fly into the BIL airport and ride our free shuttle or you arrive by I-90 and take advantage of free parking, the friendly staff at Red Lion Hotel Billings welcomes you with open arms. After a hassle-free check-in, rest your feet by the lobby waterfall before heading to your room or suite. Once you're settled, work out your sore muscles in the round-the-clock fitness center or ease into the whirlpool tub, located by the indoor pool. For thrills, go for the jackpot at the on-site Grand Montana Casino, featuring a variety of slot machines. Our well-equipped business center is available 24 hours so corporate travelers can stay productive enough to fit in some leisure time of their own. Our convenient location in the West End places you near 30 restaurants, but you don't have to go any farther than the hotel's lobby to find delicious meals. Savor a juicy 10-ounce ribeye in the relaxed atmosphere of our on-site restaurant, Wild Horse Grill, or drop in at its accompanying pub, where you can relax after a day of meetings with a drink and a game of pool or darts. The Casino has food available from 1pm until 10pm as well. At the full-service Red Lion Hotel Billings, you never have to leave the building to enjoy a succulent Montana-style steak or a refreshing beverage. Conveniently open for breakfast, lunch and dinner, the on-site Wild Horse Grill is a great way to avoid mealtime traffic in Billings. The accompanying pub is open every evening with zesty appetizers and creative cocktails, perfect for casual corporate networking or unwinding after a day-long sightseeing adventure. Both dining options are located off the atrium-style lobby. If you'd rather not leave the bed, Enjoy a tasty grab and go meal in your room. You're sure to savor every single bite at Wild Horse Grill, a casual eatery with a touch of Montana flair. Choose the mouthwatering 10-ounce ribeye, made only from certified Angus beef, or order the chef's specialty. Not in the mood for steak? Then opt for a handcrafted hamburger, basket of chicken strips or the guest-favorite Wrangler, our take on the classic chicken-fried steak. After back-to-back meetings or all-day sightseeing, unwind with a game of billiards, darts or foosball at Wild Horse Pub. A big screen TV is also available so you don't have to miss the game. This relaxing pub is the perfect hot spot for sharing hot wings with the family or chatting with friends over a bucket of beer at the bar. With 50,000 square feet of event space and a convenient West End location, Red Lion Hotel Billings makes a perfect choice of conventions, trade shows and other large events. Each of our 19 event rooms features free high-speed, wireless Internet access, and our event staff offers full catering services. Once you've exhausted the stores at Rimrock Mall, browse the boutiques, shops and galleries of downtown Billings, just five miles from the hotel. You can also explore the area with a self-guided, walkable brewery tour, a mile-and-a-half journey that takes you past some of the city's historic sites and into some of its best breweries. You can take your meetings out on the greens at one of the nearby golf courses.